Click here for EXPLORE page, includes lesson plans, down-loadable San Salvador paper models, and the interpretive text panels used during the Port of Call tour stops. 2018 is in the works, exact dates and guest legs are TBD. 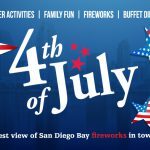 Fill out interest form below, and we will update you as details become available. 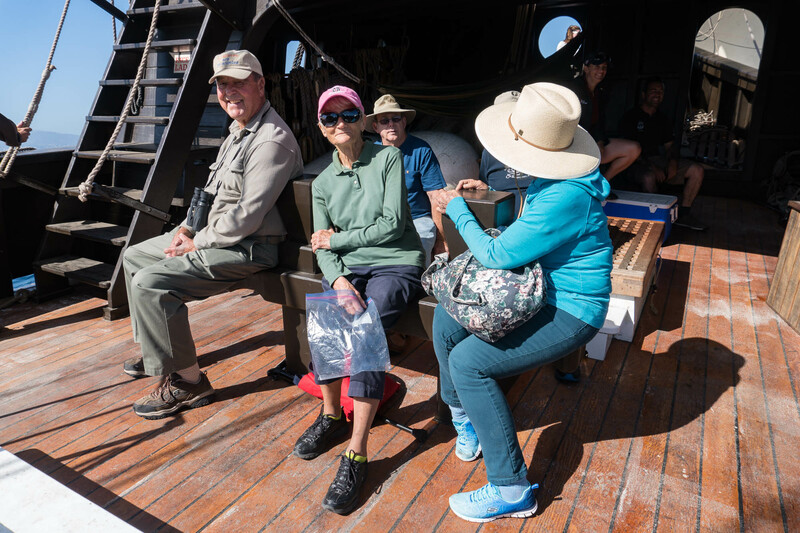 Click Here to subscribe for updates to Pacific Heritage Tour 2018. 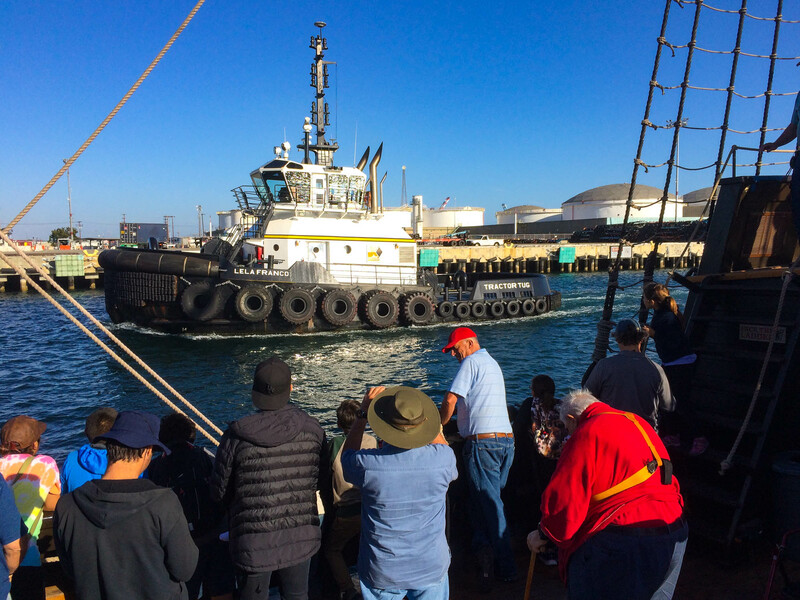 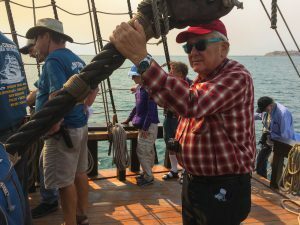 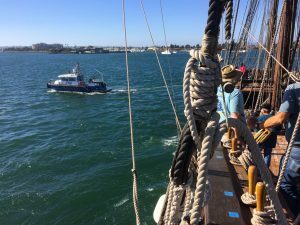 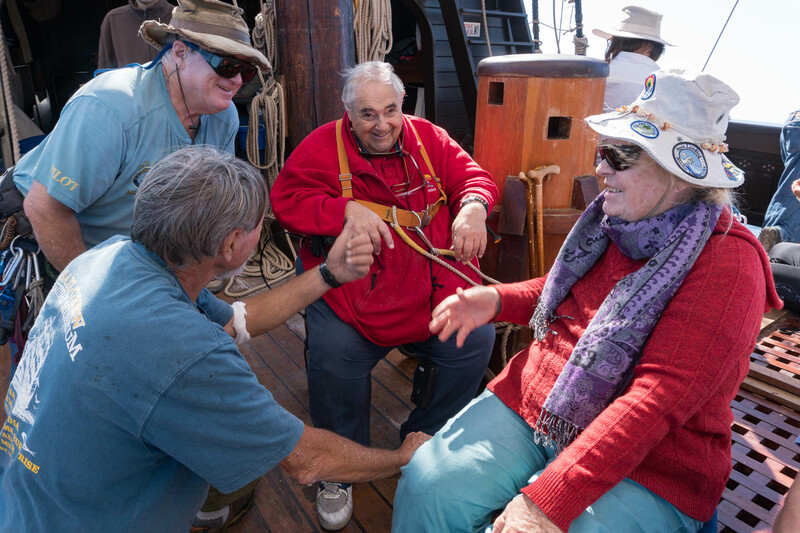 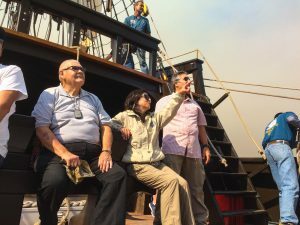 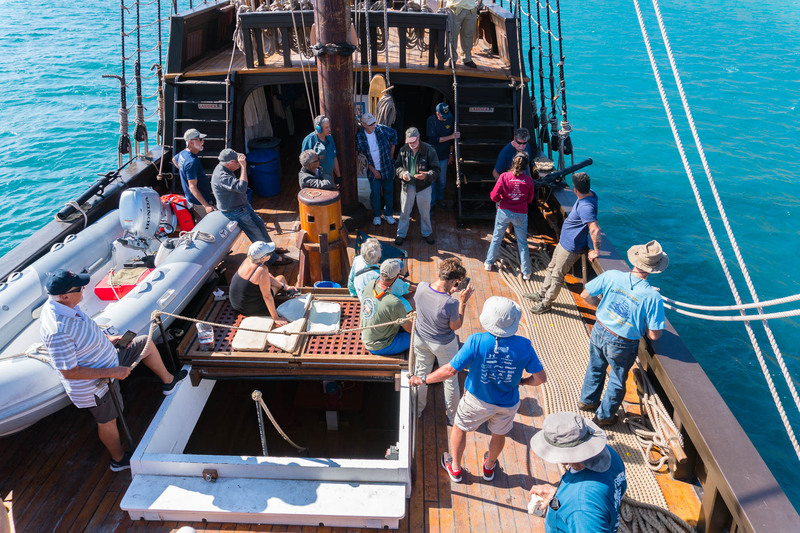 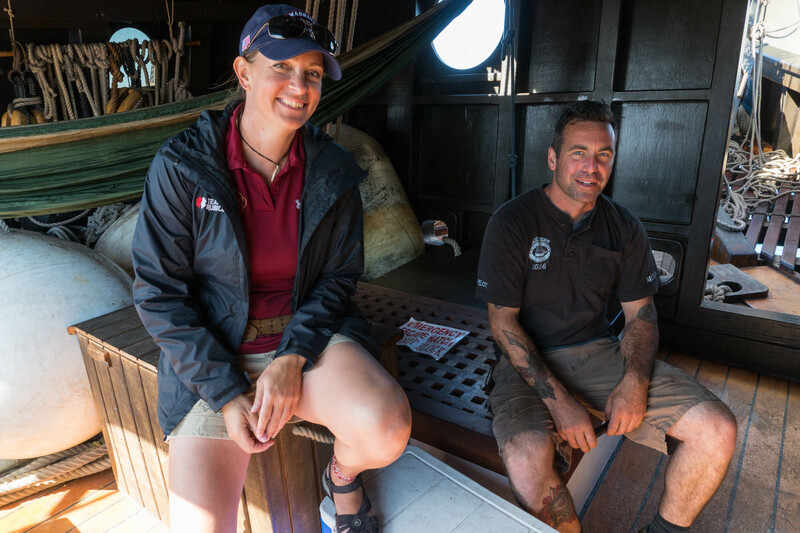 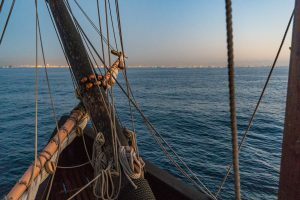 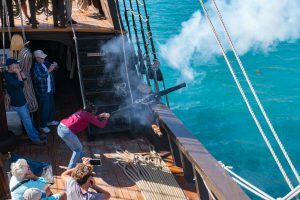 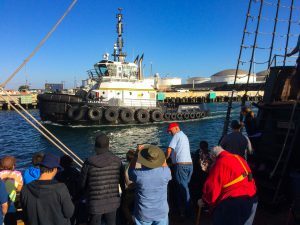 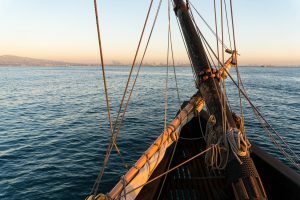 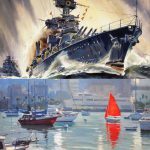 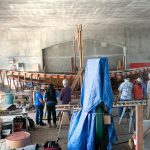 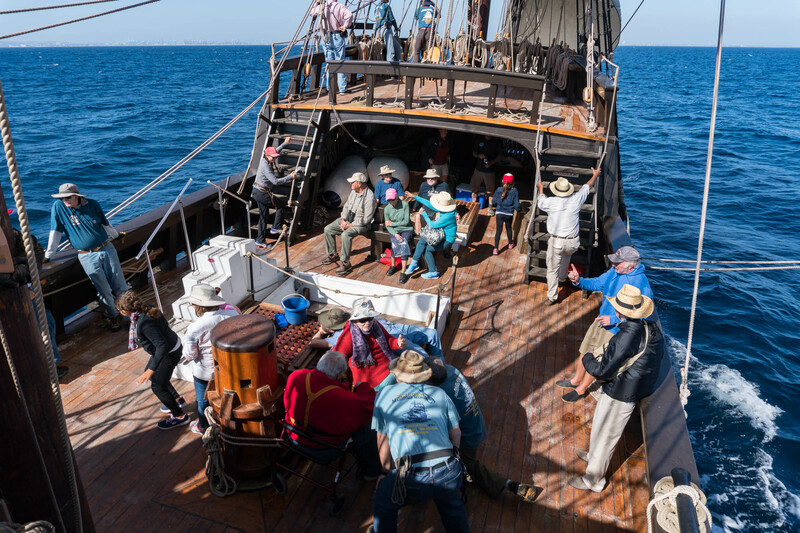 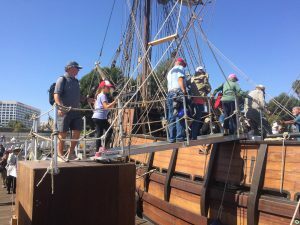 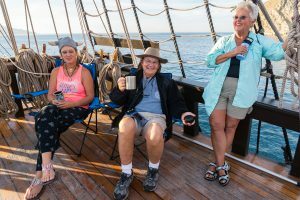 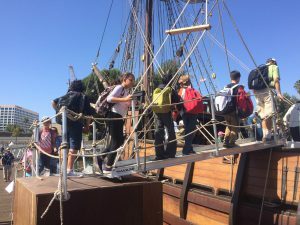 Pacific Heritage Tour Fall 2017, guests and crew return to San Diego. 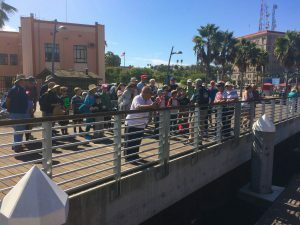 Final tour pictures are now posted. 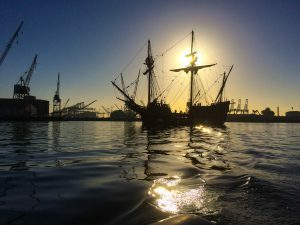 10-5-2017 – The beginning, muster at 1pm on Wednesday. 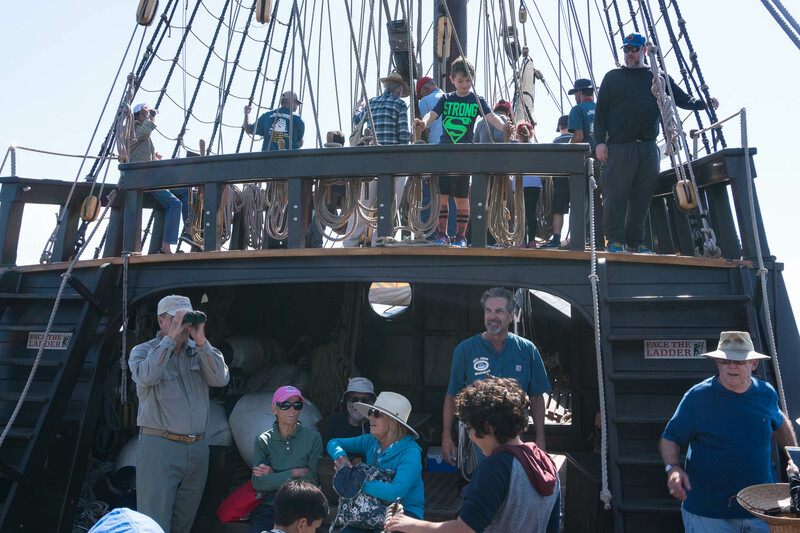 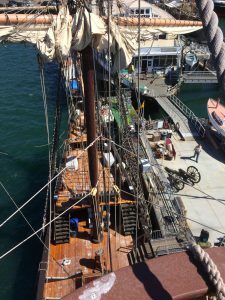 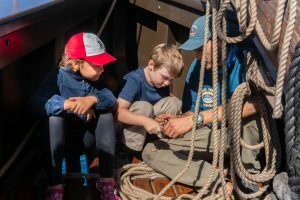 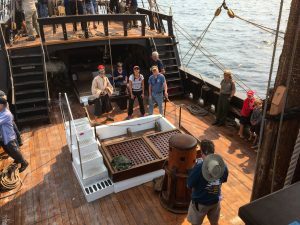 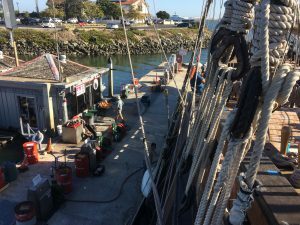 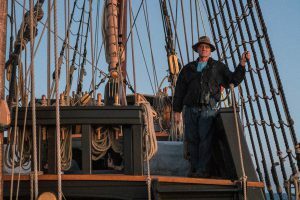 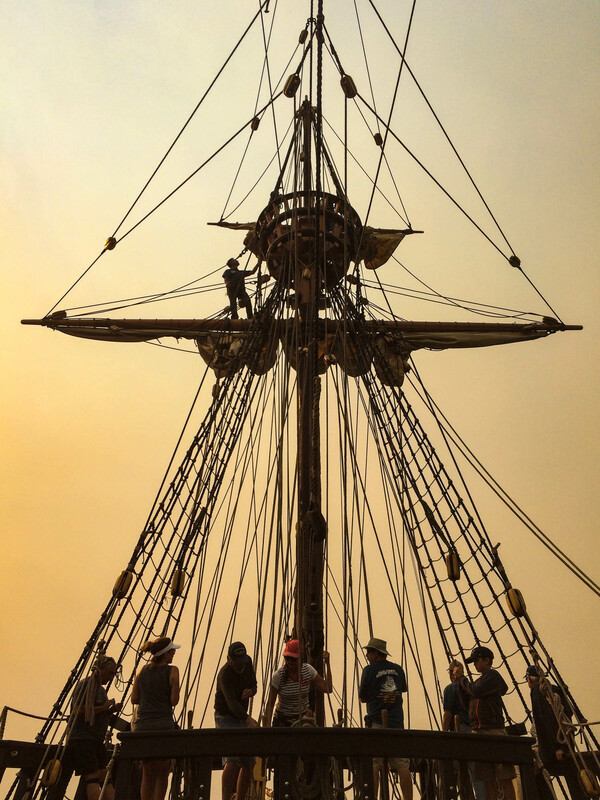 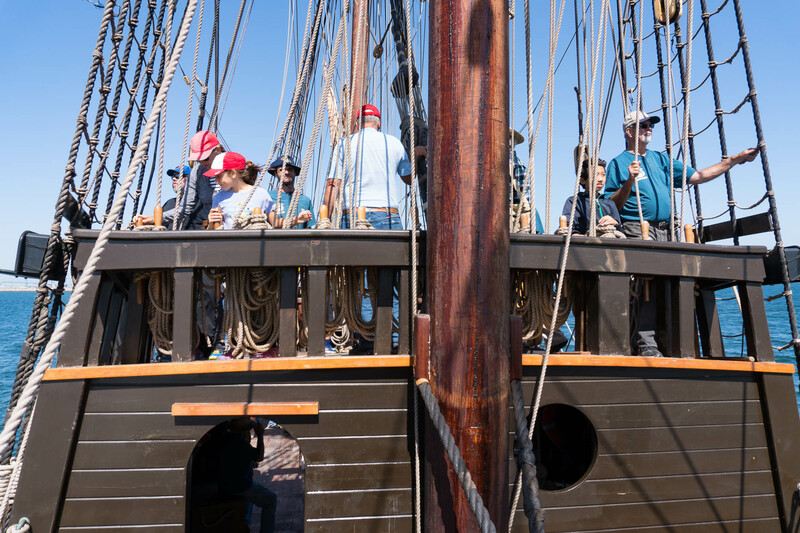 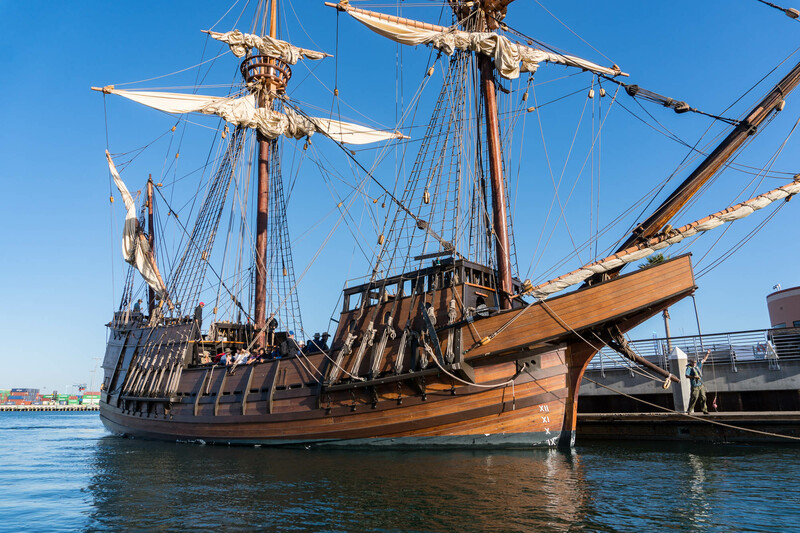 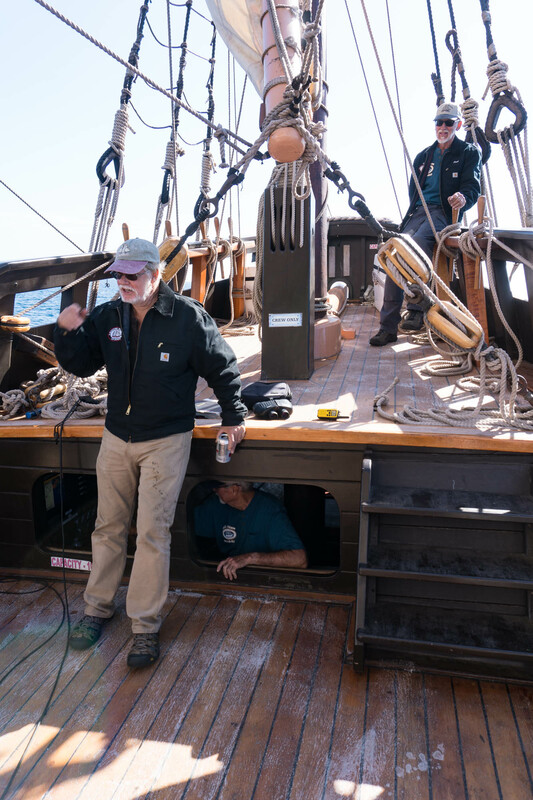 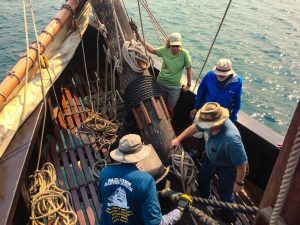 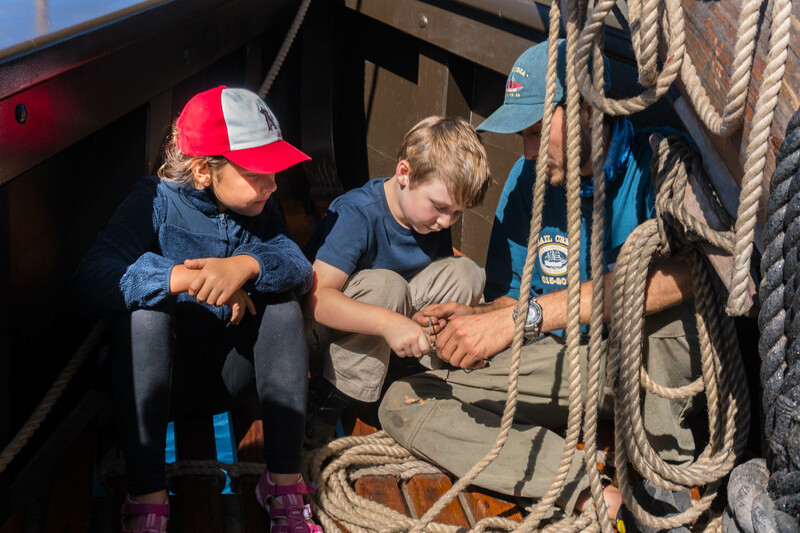 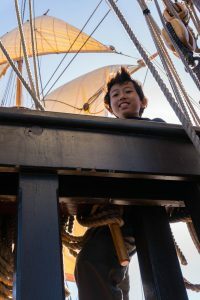 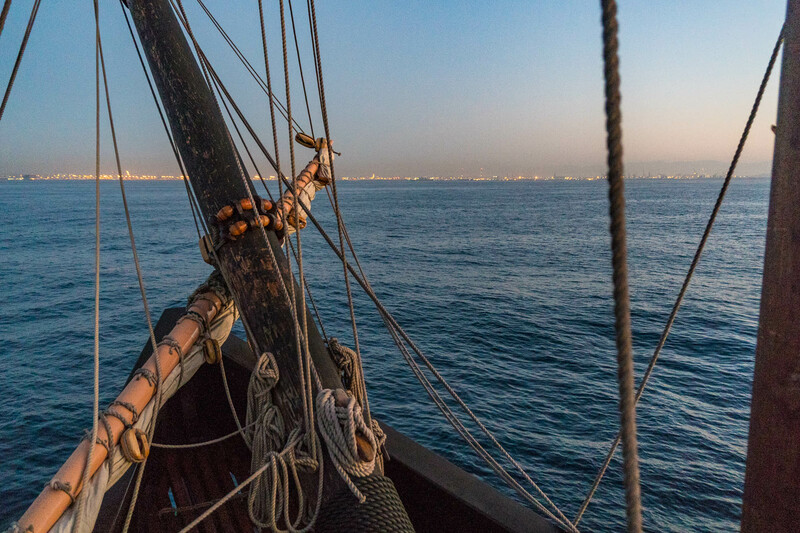 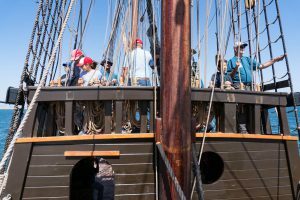 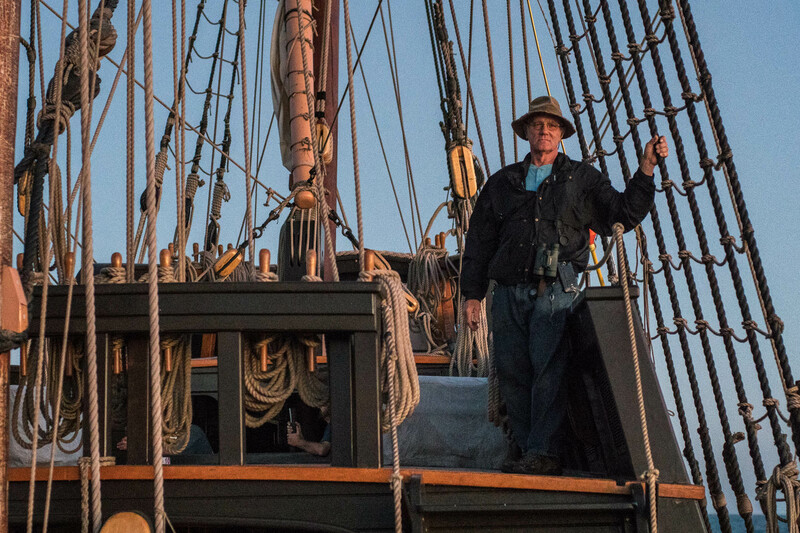 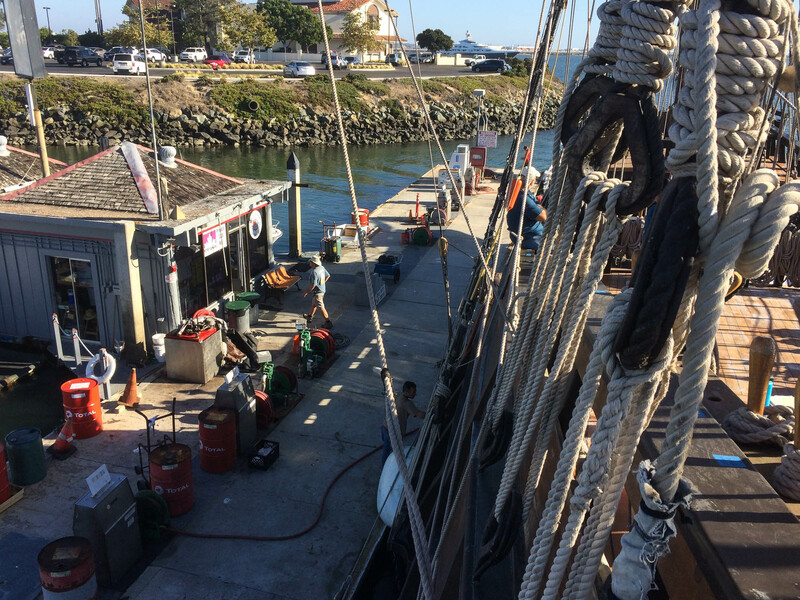 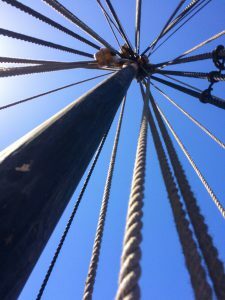 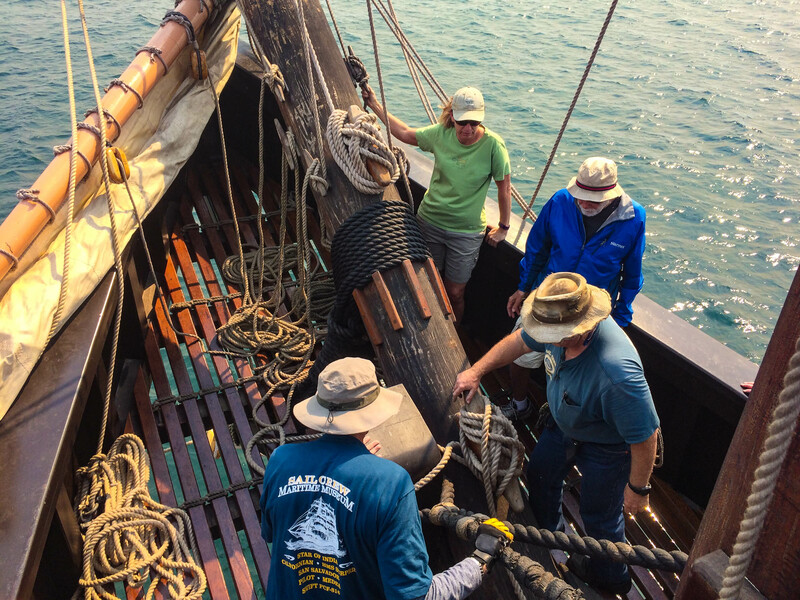 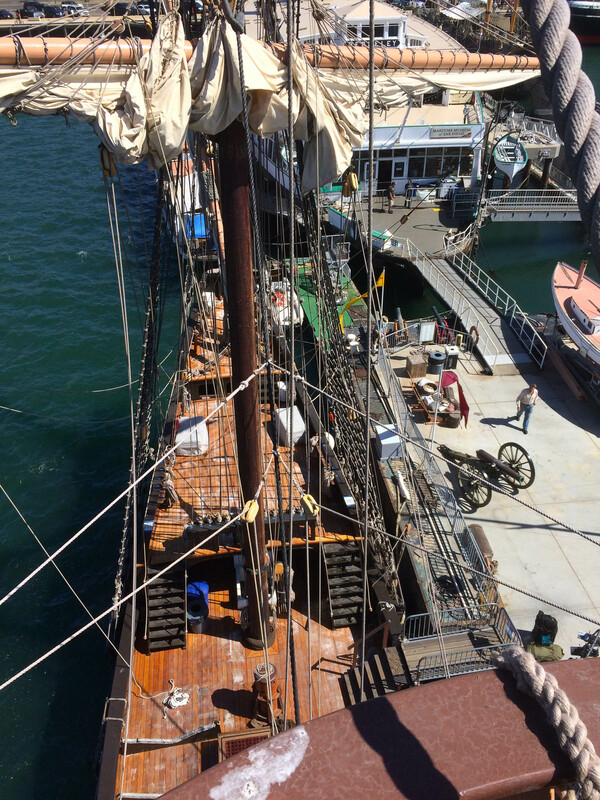 Ship preparation, final adjustments, and putting gaskets on the topsails. 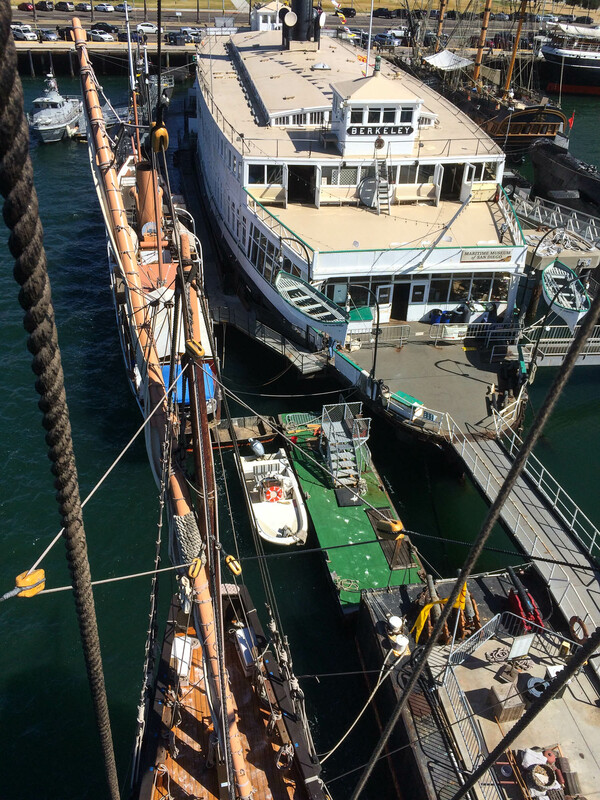 Need to fill up at the fuel dock on our way out of San Diego also. 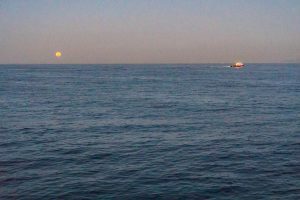 During our evening transit to San Pedro, we were greeted with a rising full moon, that looked spectacular coming up above the coastline! 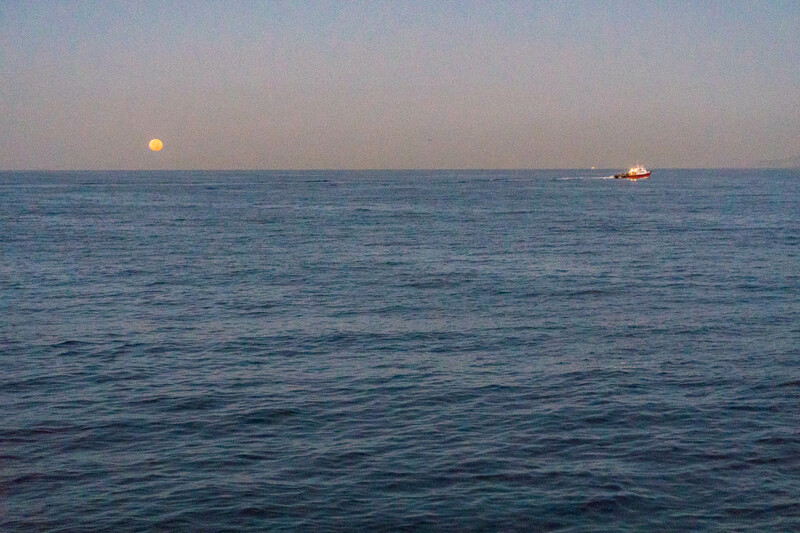 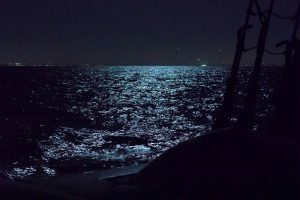 For a little while we had both a sun about to set and a full moon coming up, moments like that are one of the things I love about being out at sea. Our evening transit was smooth as can be, nice easy seas and favorable currents. 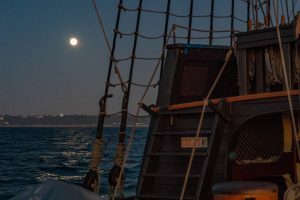 Thursday morning we watched the moon set and the sun rise as we enter San Pedro Harbor. 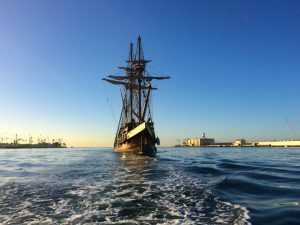 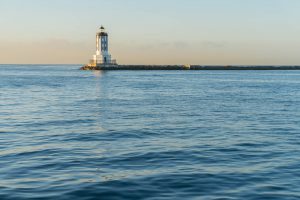 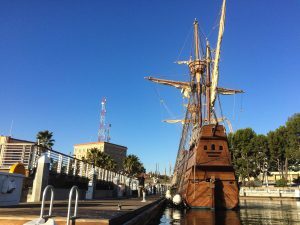 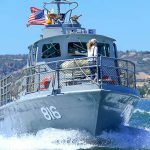 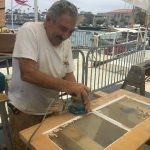 10-9 to 10-11-2017 – 4 hour day sails out of San Pedro. 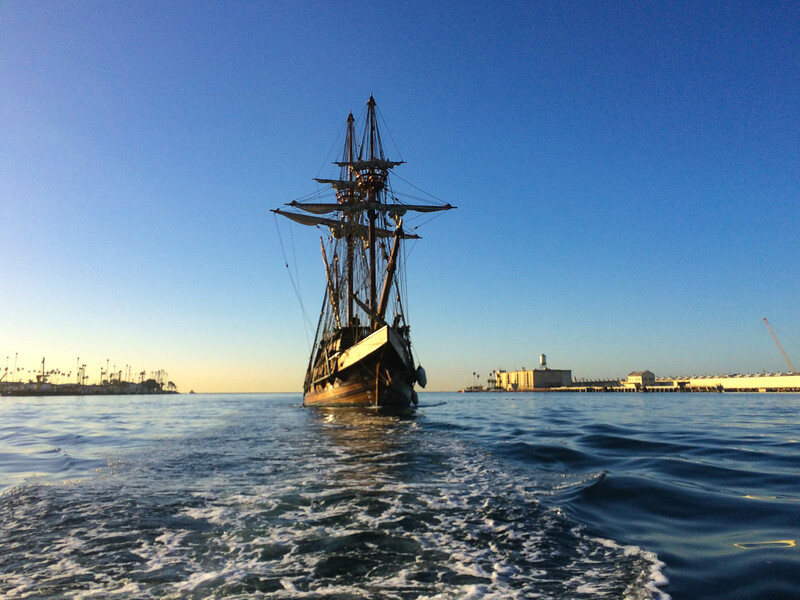 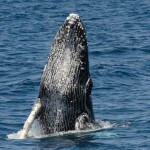 Monday thru Wednesday we did 4 hour day sails out of San Pedro. 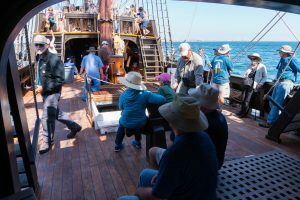 ALL 3 days sold out pretty quick, and a number of the guests that were not able to participate will be coming to San Diego for our 4 hour day sails. Had great wind all 3 days, but the fire in Anaheim Hills Monday made the sky look surreal. By far the best day was Wednesday for sailing, everything was spot on, the wind, tides, and crew. A lot of our guests want to jump in and help with the line handling, which we love to share that knowledge. 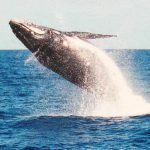 We consider ourselves a participatory ship and encourage our guests to join in the adventure. 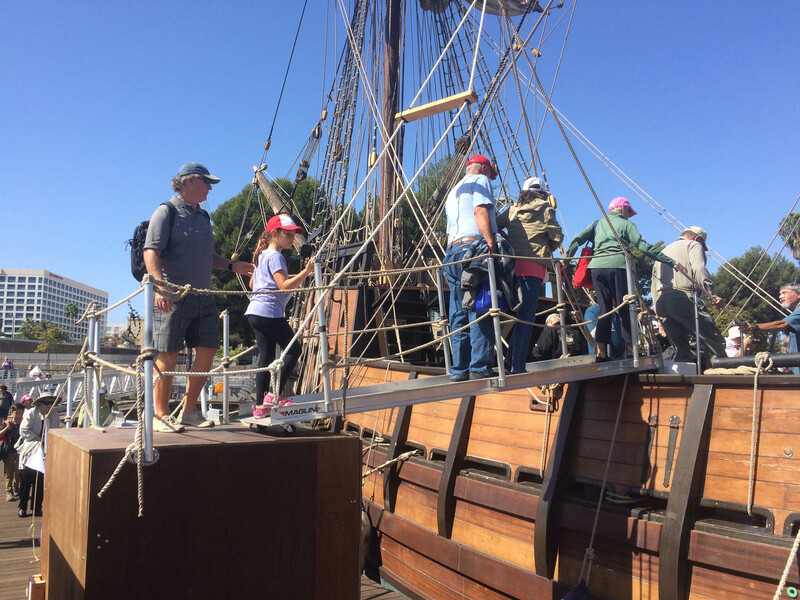 Guests aboard for the day sails, San Pedro. 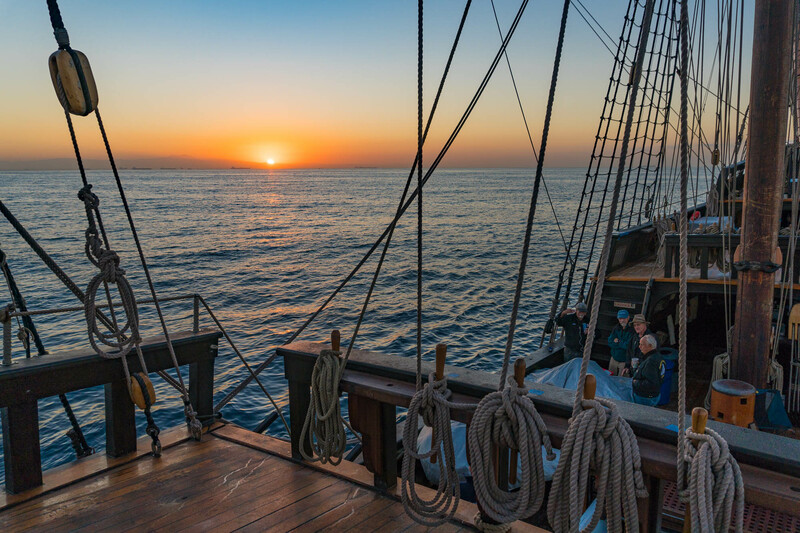 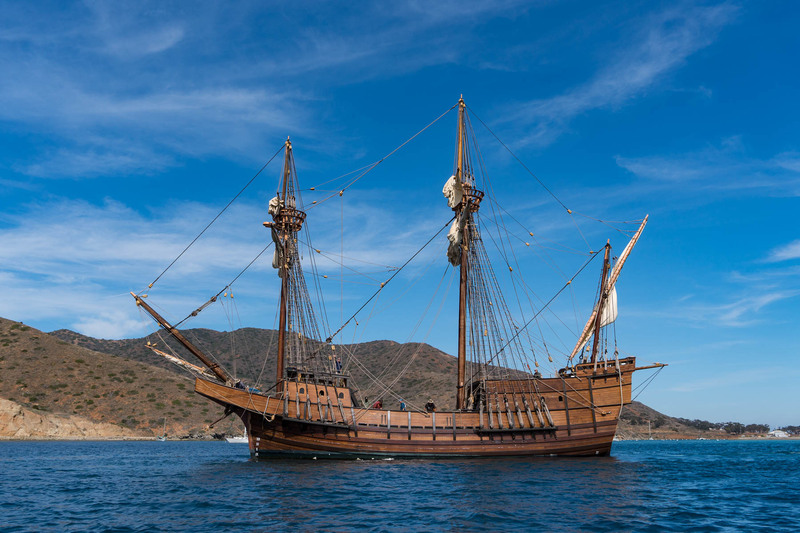 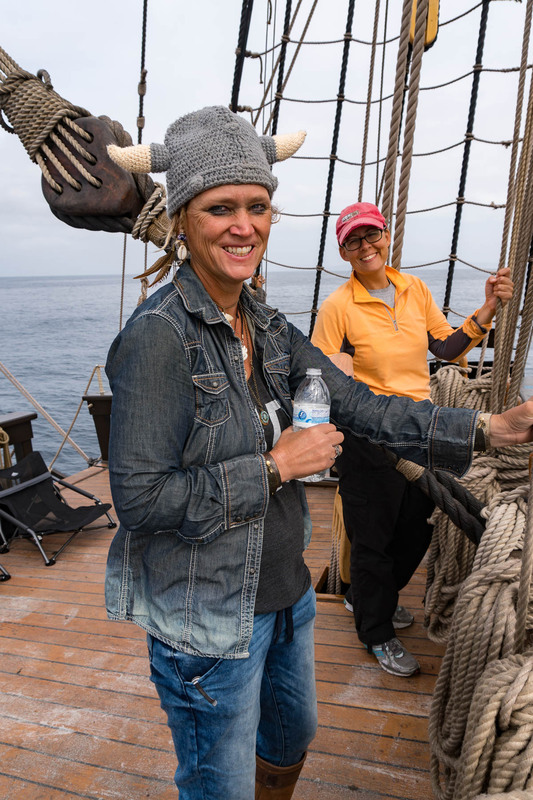 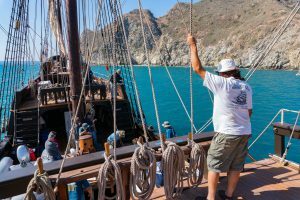 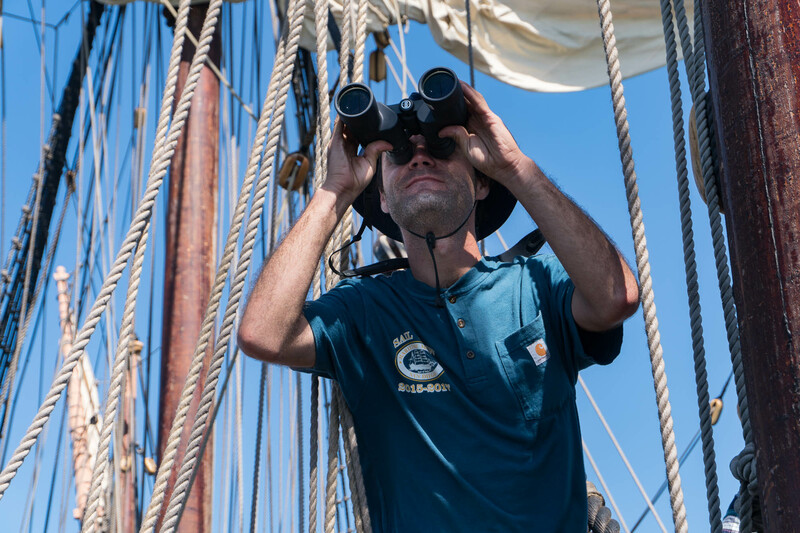 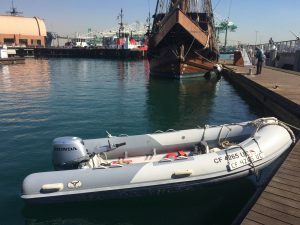 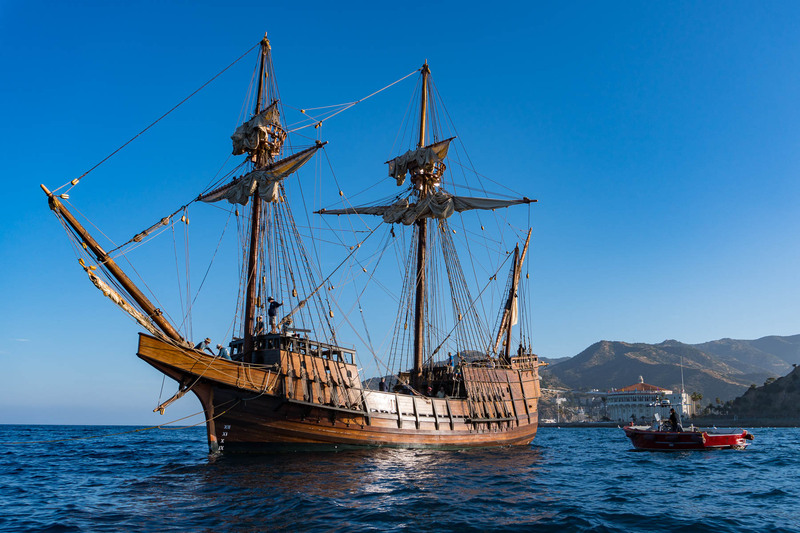 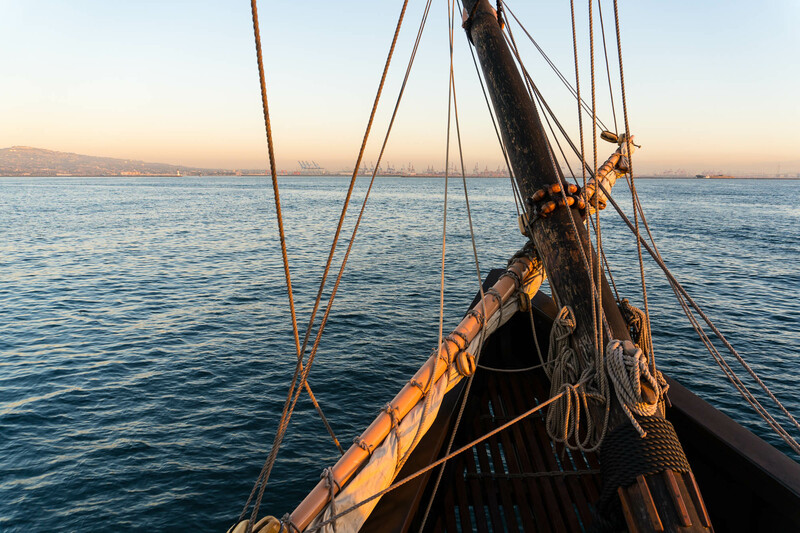 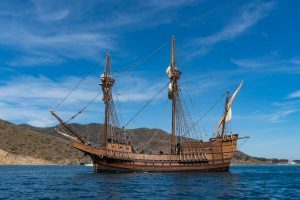 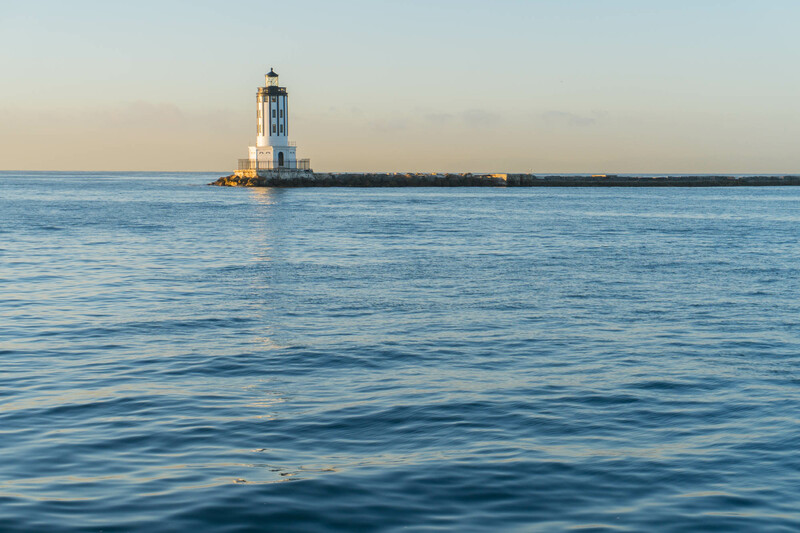 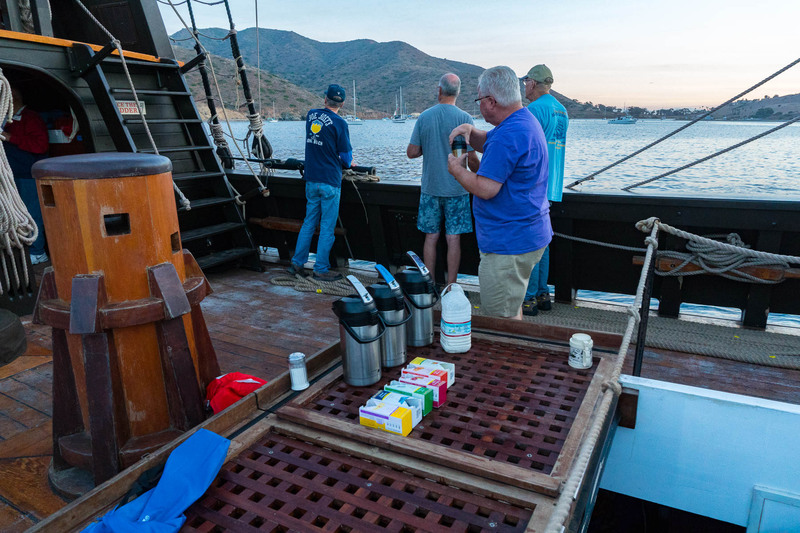 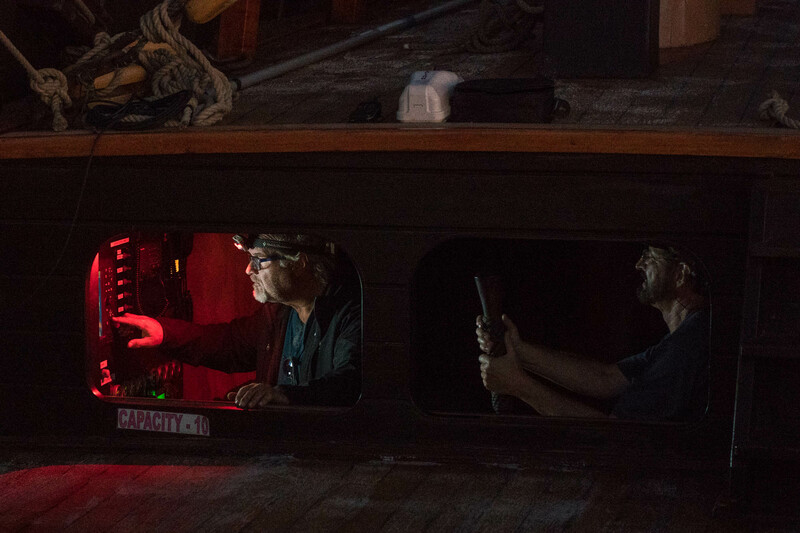 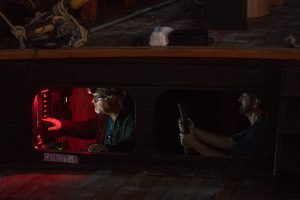 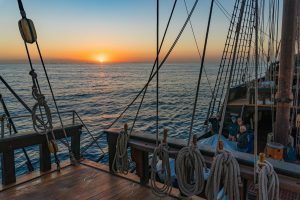 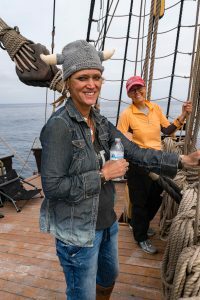 The next few days will consist of shipboard maintenance and supply restocking for our next adventure, we will be leaving San Pedro and head to Catalina Island with guests, and then back to San Diego on Thursday. Thank you for a great day sail out of the Port of LA aboard the San Salvador this week. 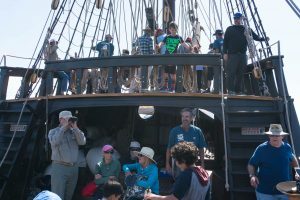 Captain Ray and his crew have a lot of heart and made this learning experience really enjoyable for our 5th and 6th graders. 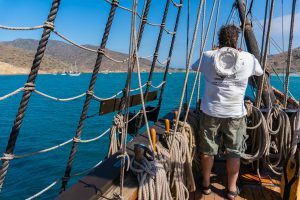 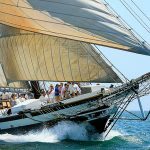 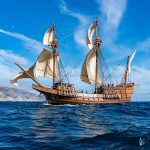 10-15 to 10-19-2017 – Guest sailing adventure. 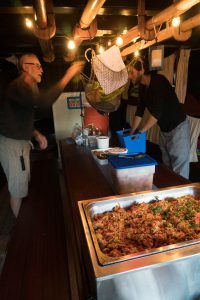 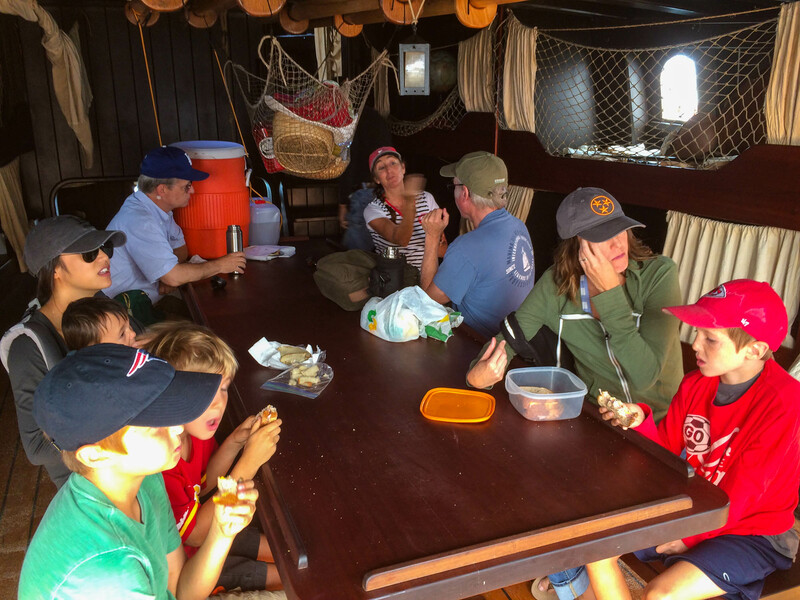 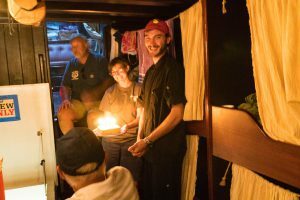 Our guests arrived Sunday evening to get settled, have some dessert, and orientation on the the next few days at sea. 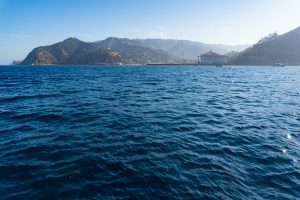 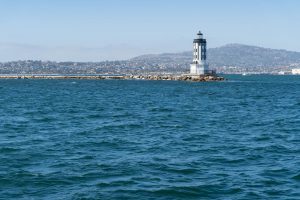 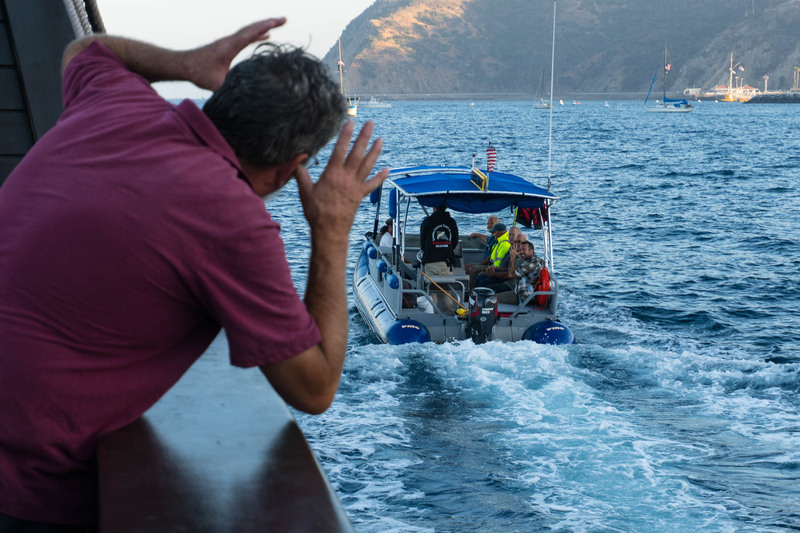 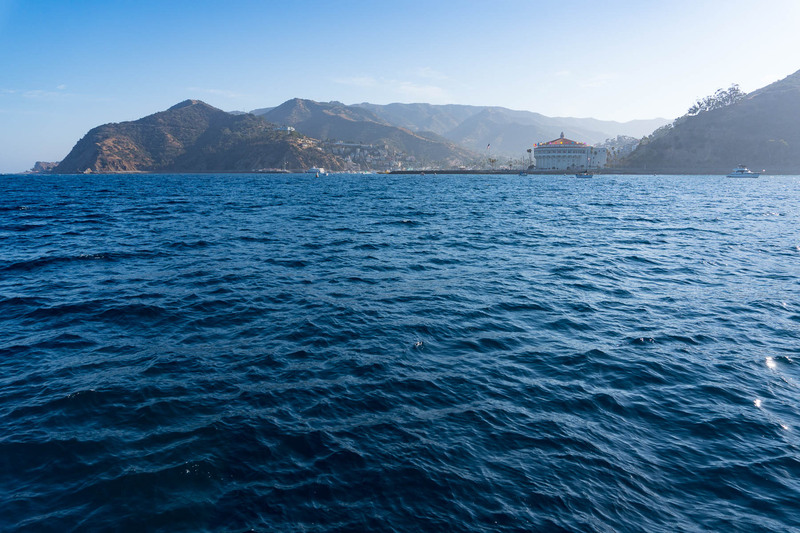 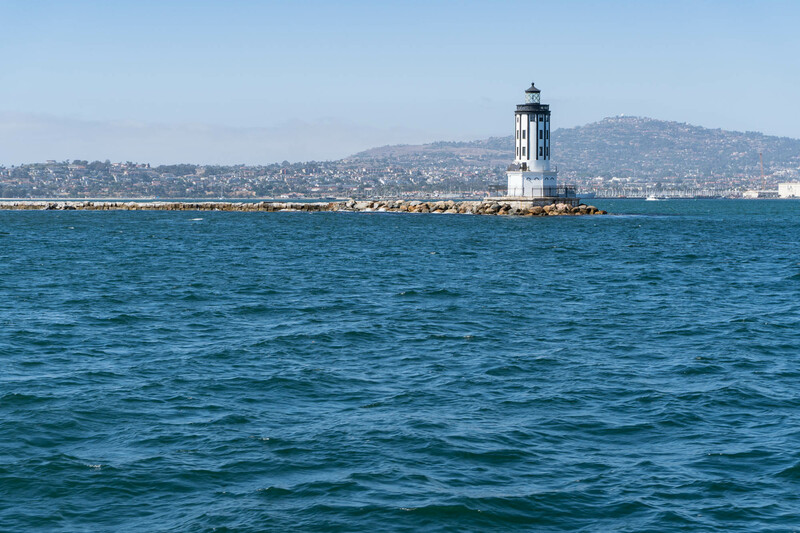 Monday am we shoved off from San Pedro and made our way to Cat Harbor Catalina Island. 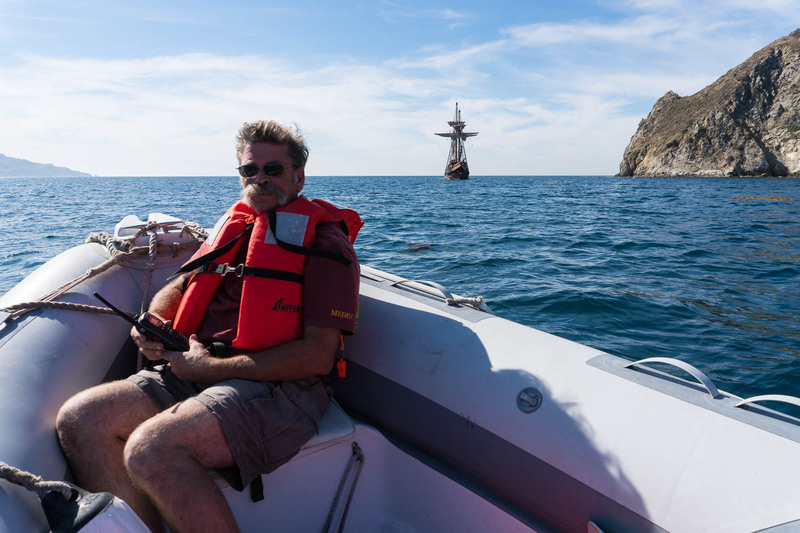 Motored our way north and then had a nice leisurely sail to Catalina. Once settled our evening programs began, but not before one of our yummy dinners. Tuesday we had a nature hike from Little Harbor, and then a wonderful afternoon sail before heading back to Cat Harbor for the night. 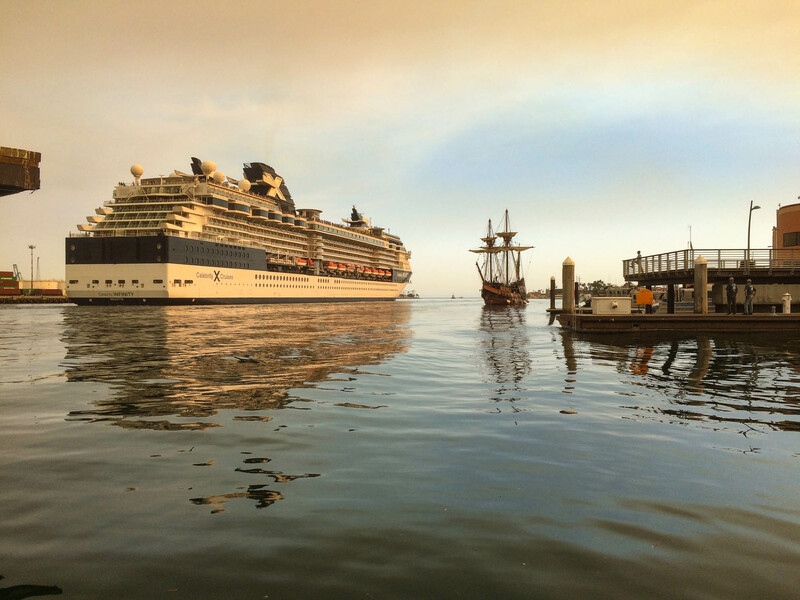 Wednesday we made our transit to Avalon. 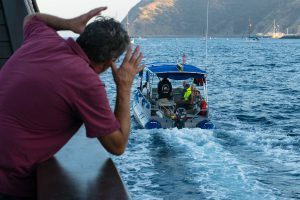 Once at Avalon guests had a chance to grab a shore boat for some fun and dinner in Avalon. 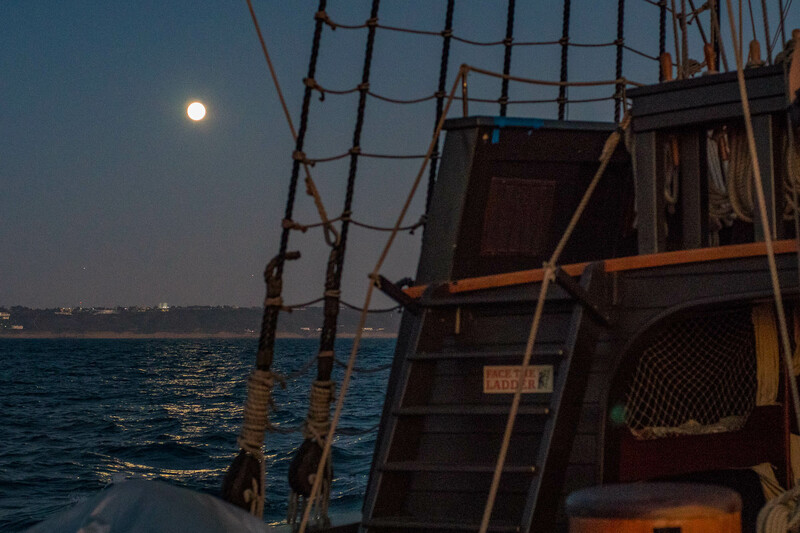 At about 2am we started our last leg of this journey back to San Diego, arriving about 2pm. 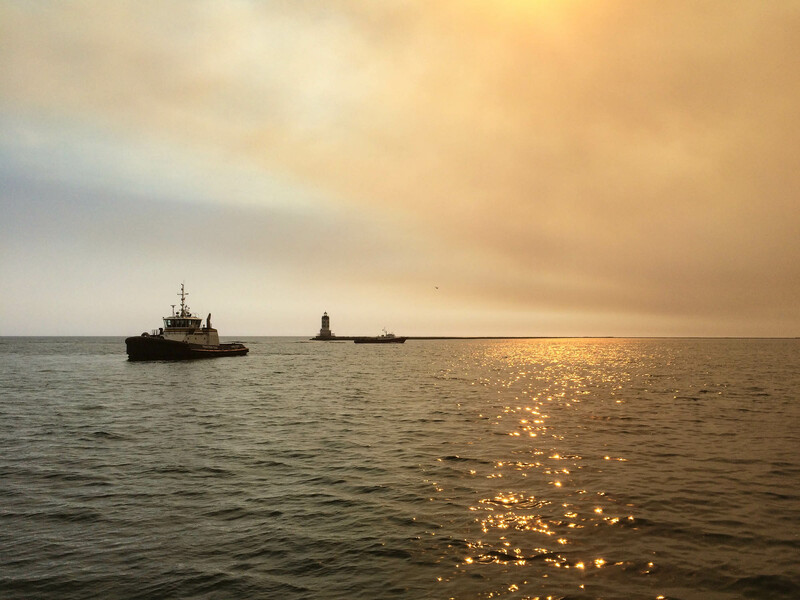 While it’s always good to be back home, it is also with some sadness too. 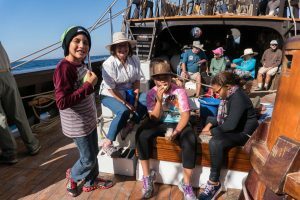 Trips like these are rare indeed, I know I’m looking forward to the 2018 trip schedule!